I stopped on this Spanish midfielder La Liga, the 33st stage, where we can say that only one of the teams has a motivation. 6-step ahead of Valencia’s final 4th position with 65 points, after having made a very good season in which he was a long time on the podium now fighting the Real Madrid grandmothers to return on 3rd position, the two being separated by only 2 points. His opponent in this match, Getafe, is in the middle of the ranking, the 10th place with 42 points and although seemingly preserving chances to occupy the last European place I do not think he can hope too much from this match. This is primarily because Valencia is in a better shape, in the last 5 stages of the Bats championship, the Bats have scored 4 wins and 1 defeat with a solid 8/3 goal. On his side, Getafe comes after just two wins and three defeats, with a weak go-go of 3/5. Secondly, because Valencia had a very good track record in home games this season, suffered just 2 defeats at home, while other 12 wins and 2 draws, with an excellent 33/13 goal. In addition, Valencia comes after five consecutive victories on home ground. 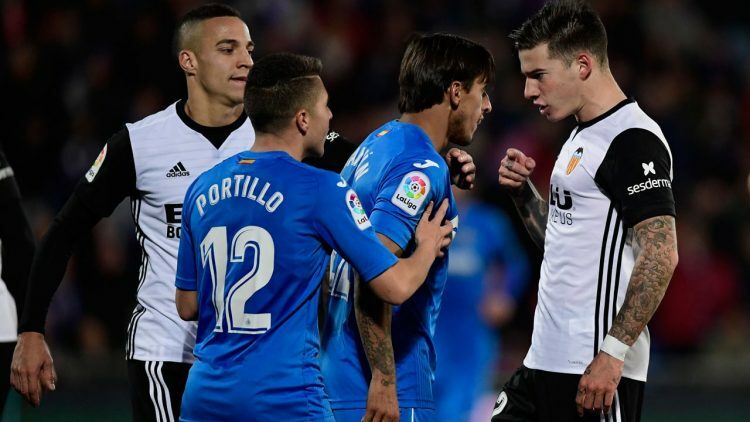 Getafe did not impress with the disputes on the opponent’s field, with only 2 wins, 6 draws and 7 defeats, with a negative goal and a very low 11/19.